Infinix in collaboration with Google, launched the Hot 2 x510 android smartphone sometime last year. This actually gave birth to the first android one smartphone in Africa. Infinix Hot 2. According to the specs of the smartphone, it was said that the device is OTG enabled. However, during the course of reviewing the smartphone, it seemed like that functionality wasn’t true. Going by reviews on other related tech blogs, it proved same. The USB OTG functionality on the infinix hot 2 wasn’t working out of the box. Couple of months after, I stumbled on a particular post online which indicated that the Hot 2 was actually OTG enabled. 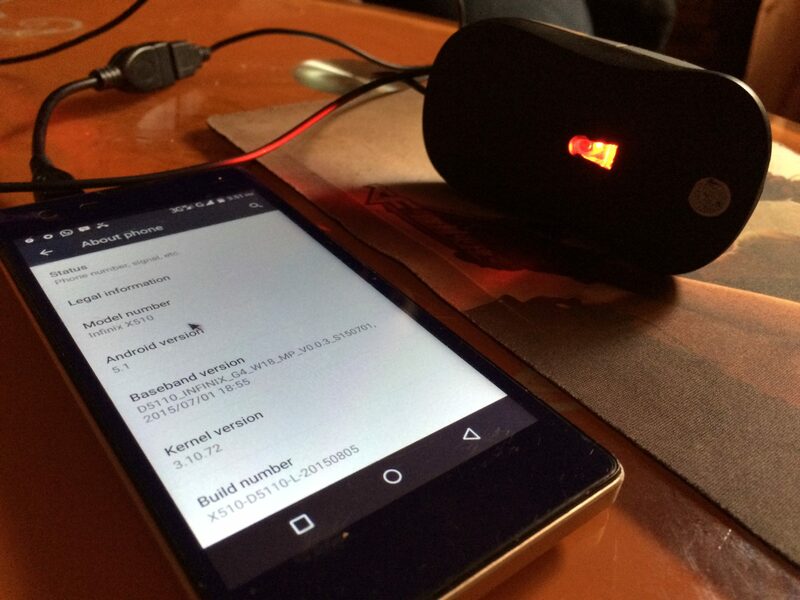 However, the device’s OS would have to be downloaded to android 5.0 lollipop. This actually didn’t go down well with me so I decided to let sleeping dogs lie. Couple of days back, a friend who I actually bought the hot 2 for, came visiting and explained how the phone hanged due to one reason or the other and she had to give the phone to another friend to help her flash it. I then decided to give the OTG functionality a shot on the smartphone and voila, it worked. Interestingly, the notification tray UI looked different from the ones seen on the normal hot 2 OS (it actually looks finer sha). And No, the OS wasn’t downgraded to android 5.0, instead, it was 5.1 and OTG cable works well on the smartphone while it still doesn’t work on the default hot 2 OS. 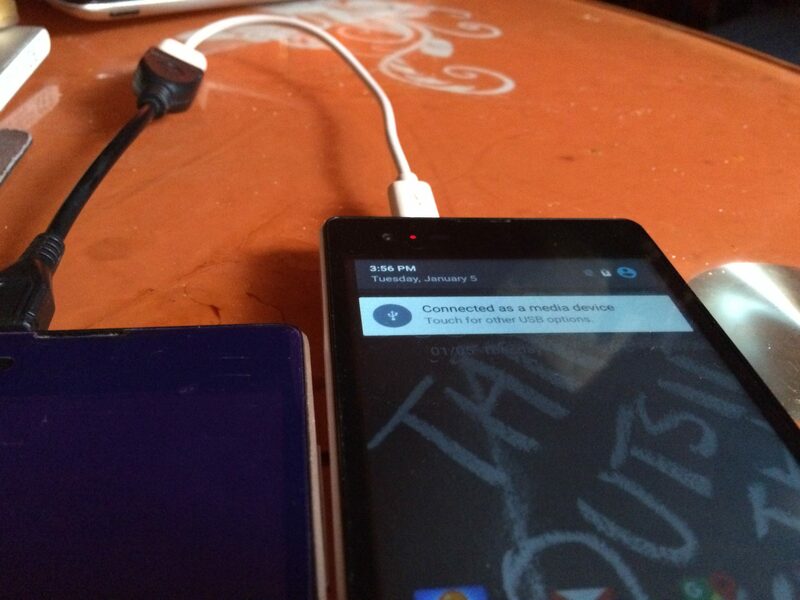 I tried using a mouse on the phone via OTG cable alongside using her hot 2 in charging ours and it worked out well. You can feed on the picture above and the pictures below to see for yourself. 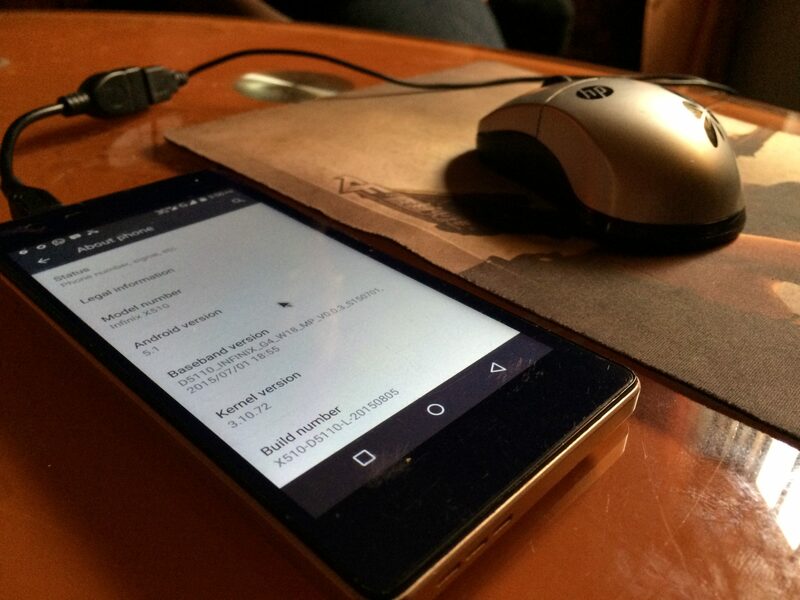 In summary, the Infinix Hot 2 x510 phone is actually OTG enabled. However, the functionality doesn’t work out of the box. Perhaps, you would have to flash your phone with the hot 2 ROM available online before that works. With this post, I just hope Infinix mobile rolls out an update which will rectify this issue and give room for the OTG functionality to work out of the box. I salute all your updates. 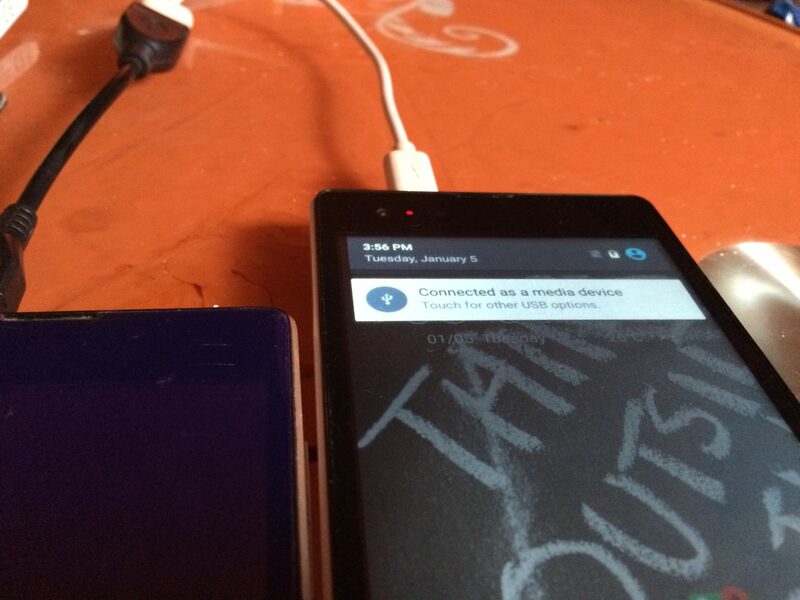 Please I need the link to download Android 5.1 I my Infinix-X551. Hope u can help. Chidex2, you can download from this link: https://mega.nz/#!bxwCXQYC!14hRwHYGFc9FFNVbnXbeiChET9iN9wcnSdUToH8KexU. Remember to click the option that says download using browser. Cheers!